The final design has evolved so that the play space becomes a series of active experiences linked by more passive and natural elements where imaginative play can take the lead. 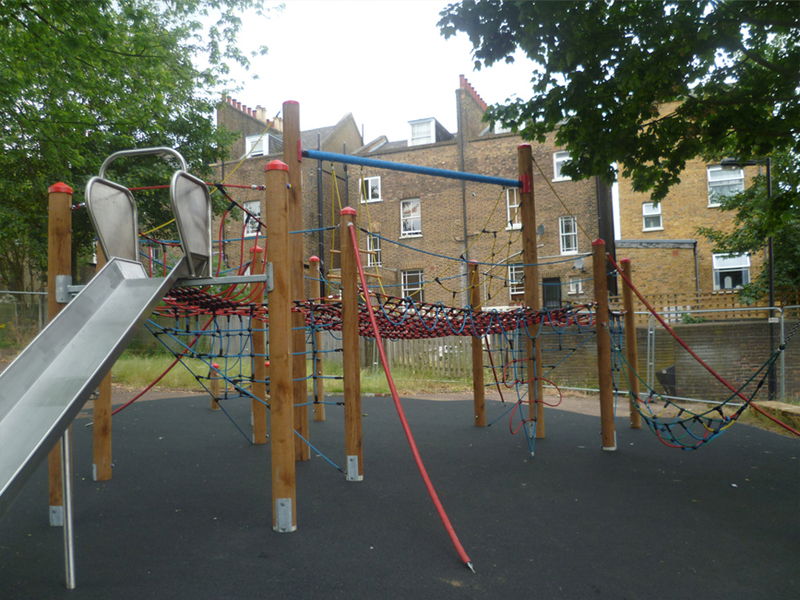 The active play elements are the basket swing and 'Netscape' climbing frame with integrated slide. These are interconnected by the passive play elements which include painted graphic markings on the existing paths, mown paths through long grass and stepping stumps. The elements have been designed with the Playbuilder 8 - 13 years age targets in mind, but, they have been chosen carefully so that younger children can also benefit from the project. The proposal creates a loop of natural play activity. 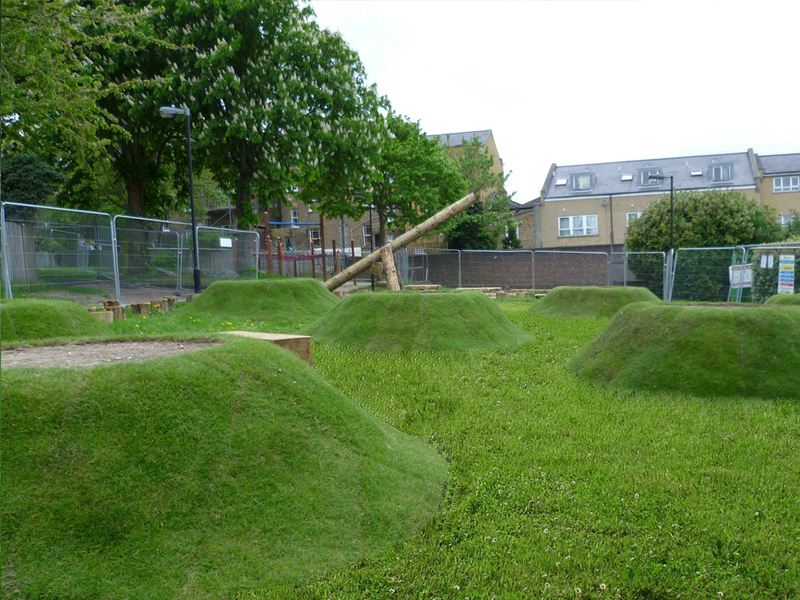 At the entry to the park is the Edible Garden (zone 3) which functions as a 'Play Pathfinder welcome mat'. Smell and taste the natural landscape! In this garden is a mix of planting as detailed in D-08_Planting Schedule. A tussock mound and boulder bollards preserves the garden from illicit vehicular intrusion. Stepping stumps and logs adjacent to the pathway allow children to move from the garden to the basket swing without touching the ground. The existing asphalted path is painted with play markings such as a pedestrian crossing to reach the the tree island (zone 2) which functions as a linkage site between the Garden and the Netscape. Here natural boulders are casually placed between the two existing trees to provide a place to sit in the shade and watch the active play on the Netscape or basket swing. 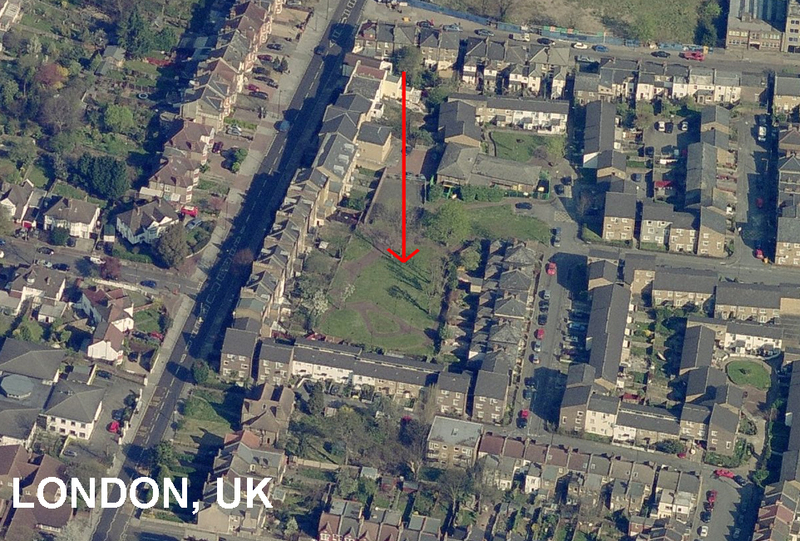 As a result of consultation, it was decided that it was preferable to site the proposed climbing activities in the same location as the existing arches (zone 1). Surrounded by mature trees, log, pole and rope climbing would accentuate the existing foliage better than rock climbing. 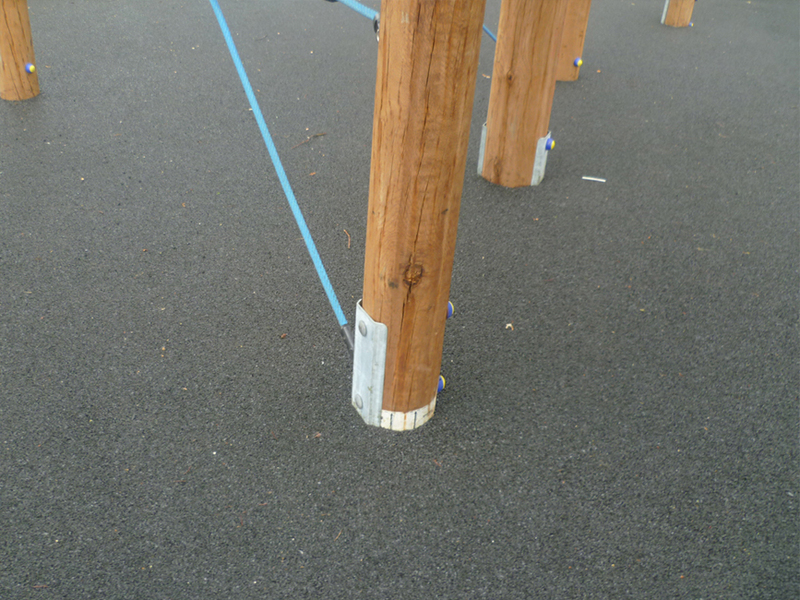 The bespoke 'Netscape' is play equipment made from robust cargo nets and logs that allows the children to 'walk' above the ground, in amongst the trees. It also contains a slide as an alternate means of descent. 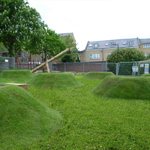 The Edible Garden comprises of a number of grass mounds (seven) which act as natural raised flower beds and provide some relief from the otherwise flat field. 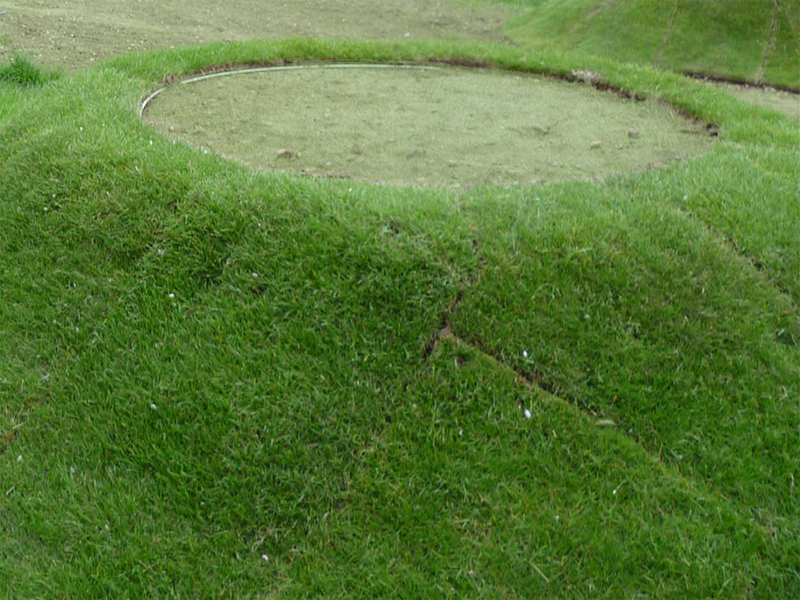 Within each mound a different 'edible' to create a aromatic garden for both children and adult to meander through. Interspersed between the seven grass mounds are eight different fruit trees. Adjacent to either side of the Garden blackberries (Northern side) and raspberries (Southern side) are planted. Thus there are 19 different species within the Edible Garden: enough to keep the children guessing to work out the various plant species. The long grasses also grow around the stepping stumps, adding more interest and excitement to the activity. All existing trees are retained.